Plenty of enjoyable trips to the movies this year, and with a single exception it wasn't the summer blockbusters that really did it for me this year. The Marvel movies continue to entertain, but they really seem like an ongoing serial at this stage rather than stand alone efforts. Iron Man 3 and Thor 2 were fun extensions of their franchises, but are definitely starting to feel like feature length TV episodes to me. So what else caught my eye this year? 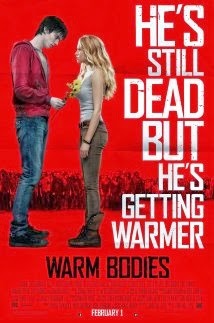 Warm Bodies was a fun way to start the year. Light, but full of heart, the pseudo romantic comedy with zombies was not exactly ground breaking in any way, but I'll remember it for the normality of zombie life moments. 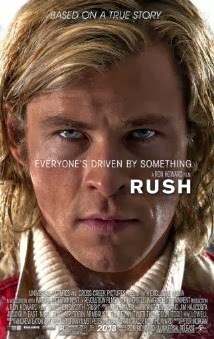 I'm not usually a huge fan of biopics, but I enjoyed the story told in Rush. It serves to both demonstrate how much sport has changed since the 70's while demonstrating that human nature does not. Two compelling characters, and two great performances do them justice. I was always likely to be including The World's End on this list as Edgar Wright again uses his partners in crime to perfection. 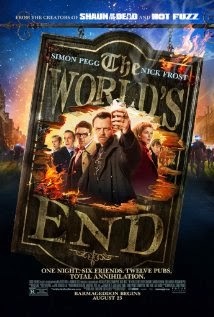 The end of their so-called 'Cornetto Trilogy' (after Shaun of the Dead and Hot Fuzz) might go off the rails a little in places, and if it was trying to deliver a message, it all gets lost a bit in the ending, but it's bizarre and funny in the best traditions of British humour ... and has one of the best soundtracks of recent years for anyone of my age! Guillermo Del Toro is one of my favorite directors, so the chances I wasn't going to like Pacific Rim were slim. Yes, its cheesy, but intentionally so. To me it's a love letter to the B movies and monster flicks that inspired it. It's pretty much robot's fighting monsters, but done with a heart, and an odd respect for a niche genre that maybe most didn't appreciate. 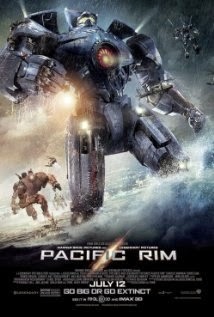 In a weird way I liked the fact that it was a cheesy, predictable script, because that is what a move centered on giant mecha smashing heads with wanna-be Godzilla's needs to be. You aren't supposed to be taking it seriously. The annual I could Watch Peter Jackson make Middle Earth Movies for eternity award goes, rather predictably, to Mr Jackson and his latest sojourn to Tolkien's fantasy world. 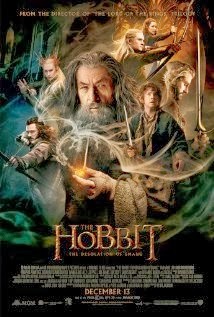 The Hobbit: The Desolation of Smaug was a damn fine middle chapter, and while the purists may be dismayed at Jackson's elongation of the story, and his additions, personally I find they work well, and make for interesting stories. Peter Jackson and his partner in everything Middle Earth, Fran Walsh, are by now very comfortable with how to integrate new elements and have them work. I loved that characters like Bard get flushed out, and that they can inject at least one strong female character into a book that was completely devoid of them. In any other year these three would leave me content. This year there was another film though that simply blew me away, but more of that later. It did mean though that these three end up sharing the second placed podium as it were, all squeezing into my affections in ways that I am sure will linger past this year. 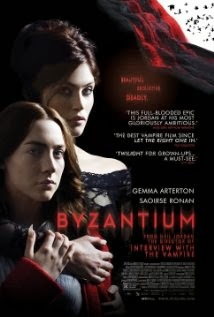 I am a huge fan of Neil Jordan's work, so that I loved Byzantium was not a surprise to me. Given the cynicism towards vampire movies, let alone one with a female teen lead, in the post Twilight world, I am also not surprised this one didn't garner much attention. It is so much more than that. A wonderfully understated performance from Saoirse Ronan, and an interesting script that places a premium on a personal tale at the expense of an epic sweep, makes for one of the best takes on the vampire genre in years. 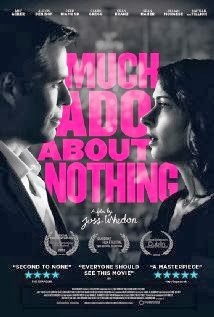 I also do not hide my admiration for Joss Whedon, and his adaptation of Much Ado about Nothing was simply genius. Watching the usual Whedon alumni that you know and love, play out the original Shakespeare text, in black and white no less, works far, far better than it had any right to. Perfect casting throughout, from a magnetic Amy Acker as the lead, through to Nathan Fillion suiting Dogberry perfectly. Shakespeare done right! One movie though stands head and shoulders above everything else that got released this year. 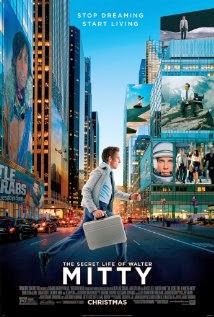 Quite simply the best movie I watched this year. 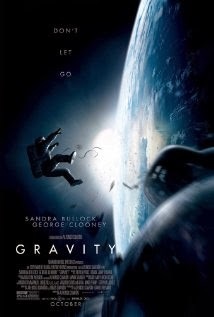 A fantastic achievement in movie-making, and a brilliant, taught, script brought to life by great performances. Everything about this experience was immersive and compelling. Technically the achievement is nothing short of stunning, just getting the movie made is a testament to putting the latest technology to good effect. What could have been an overloaded action flick in the wrong hands, is instead an intimate character study of someone under intense pressure, where the action sequences, as impressive as they are, are never allowed to take over. A perfect combination of the art of cinema and the art of storytelling.